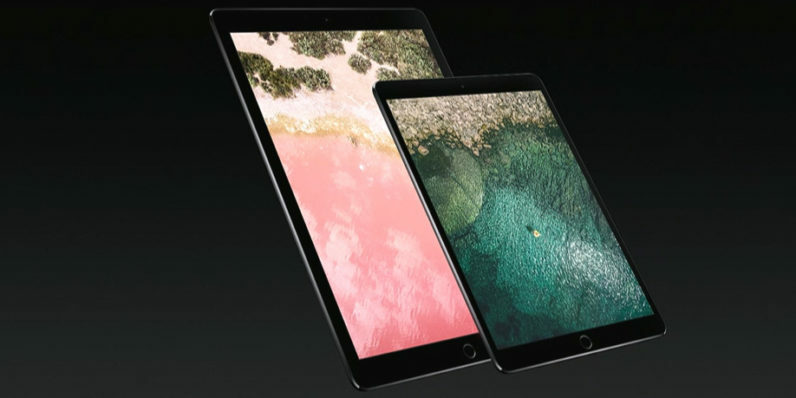 Apple today unveiled a brand new 10.5-inch iPad Pro that’s set to take the place of the 9.7-inch Pro announced last year. The new model occupies the same footprint as the 9.7-inch predecessor while offering a slightly larger screen thanks to its tiny bezels. It weighs all of a pound. Performance with the Apple Pencil is also much improved. It now boasts an industry-leading 20 milliseconds latency, a response so fast a promo video claimed it’s mostly indiscernible from a real marker or pencil. Perhaps most exciting, though, are the usability fixes. One, a feature most of us have been waiting for, is drag-and-drop. The new feature allows you to operate the Pro much in the same way you’d use a two-in-one, or laptop. With the touch of a finger, you can “grab” a file or app and move it around as needed. In a brief hands-on, by our man on the ground Bryan Clark, he confirms it works just as you’d expect it to. The usability fixes didn’t stop there. An improved snap feature allows for better performance when viewing two windows side-by-side. The new iPad will be available starting at $649 for the new entry-price 64GB version. You can get yours June 12. Follow all of our coverage of Apple WWDC 2017 here.